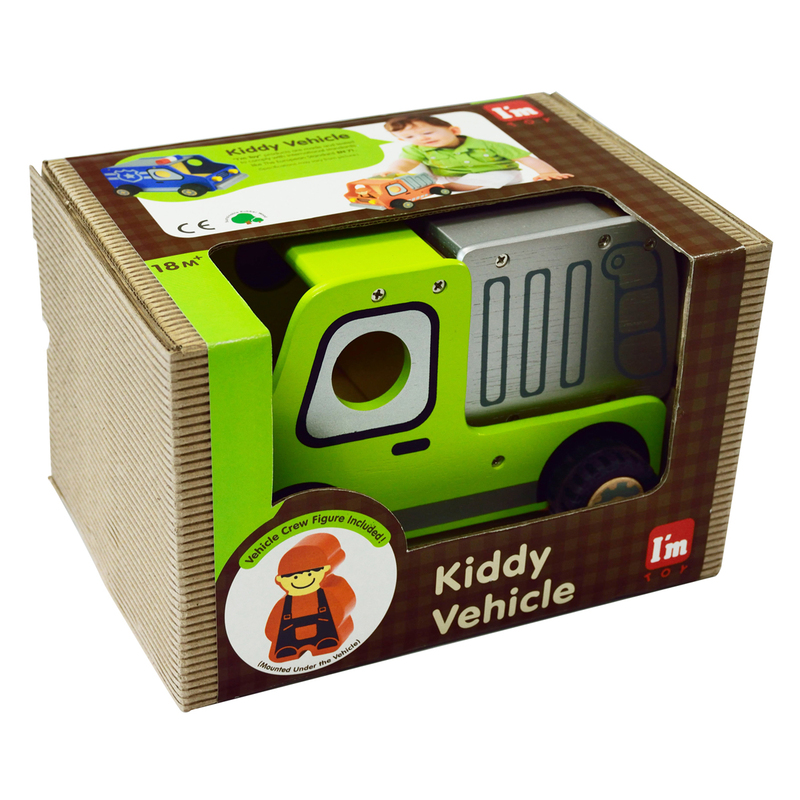 So much fun to be had with the I’m Toy Deluxe Wooden Garbage Truck! Larger size wheeled play vehicles are great toys to encourage children’s role play, social interaction and develop physical skills. 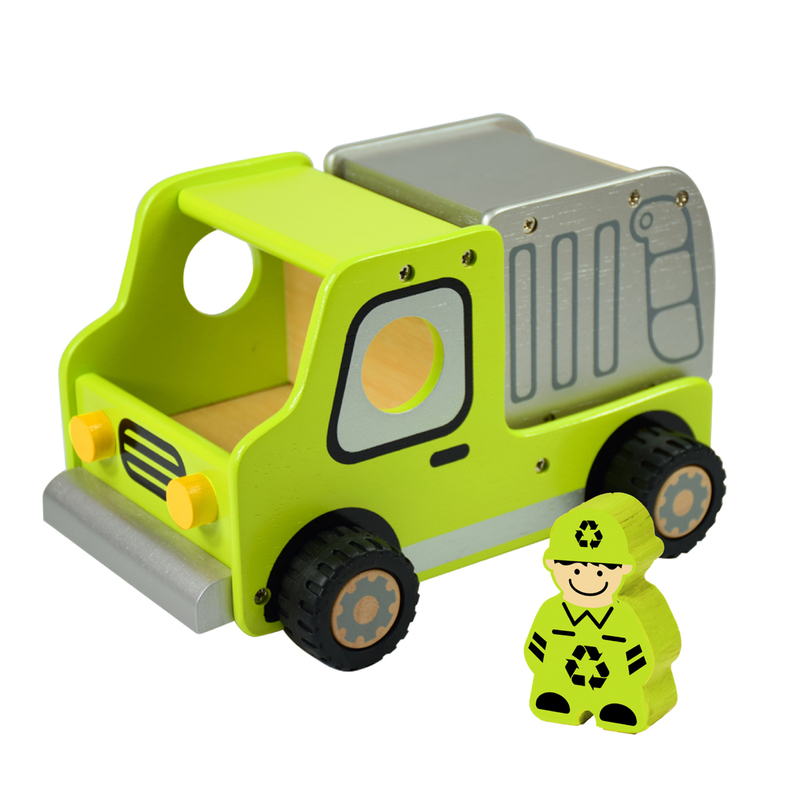 Featuring rubber non-skid wheels and movable parts the vehicles are designed for many years of group use. 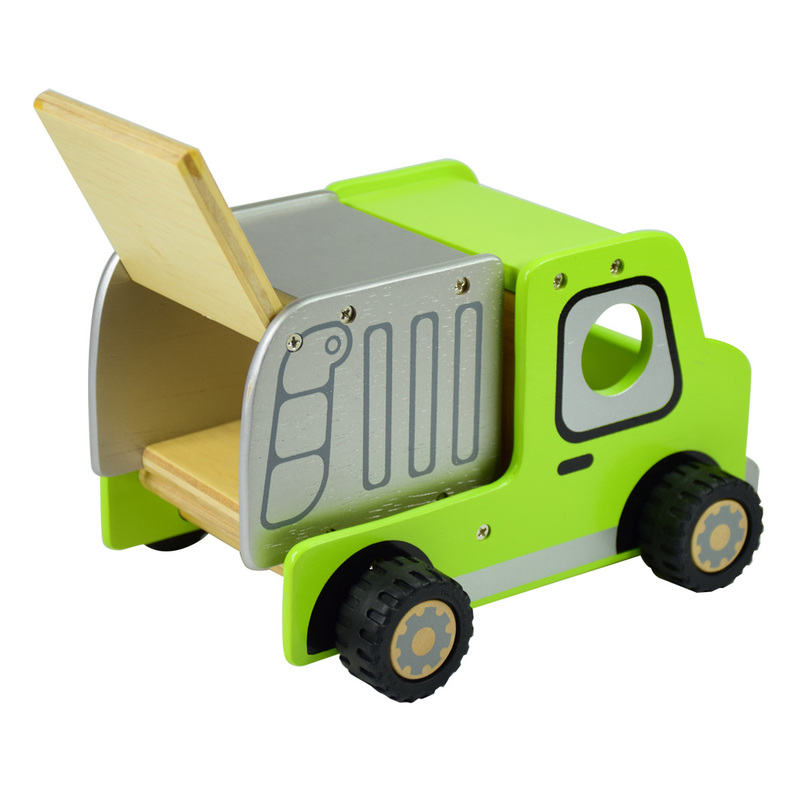 Produced from sustainable rubber wood and finished with non-toxic paint.